Oxford Publishing Ltd, a unit of Oxford University Press, said last week it had settled probes by the World Bank and the UK Serious Fraud Office (SFO) into allegations of corruption in its operations in East Africa, writes Samuel Rubenfeld for The Wall Street Journal. The publisher became aware in 2011 of “irregular tendering practices” involving its education business in East Africa, immediately began investigating and reported voluntarily to the World Bank and the SFO on its findings, the SFO said. The investigations led the SFO and the World Bank to believe the two Oxford Publishing units “offered and made payments, directly and through agents”, with the intention of trying to win tenders and contracts to publish schoolbooks, the SFO said. Under separate settlements, Oxford Publishing agreed to pay nearly £1.9 million (US$2.9 million) pounds in a civil recovery order in the UK, and Oxford University Press agreed to pay the World Bank $500,000. The World Bank also announced it debarred the two units – Oxford University Press East Africa Ltd and Oxford University Press Tanzania Ltd – for three years after the parent company acknowledged wrongdoing in Bank-funded projects. Oxford Publishing Ltd., a unit of Oxford University Press, said Tuesday it settled probes by the World Bank and the U.K. Serious Fraud Office into allegations of corruption in its operations in East Africa. 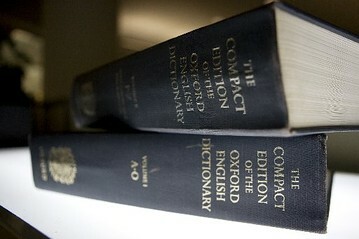 An Oxford English Dictionary, published by Oxford University Press, is shown at the headquarters of the Associated Press in New York on Aug. 29, 2010. The publisher became aware in 2011 of “irregular tendering practices” involving its education business in East Africa, immediately began investigating, and reported voluntarily to the World Bank and the SFO on its findings, the SFO said. The investigations led the SFO and the World Bank to believe the two Oxford Publishing units “offered and made payments, directly and through agents,” with the intention of trying to win tenders and contracts to publish schoolbooks, the SFO said. Under separate settlements, Oxford Publishing agreed to pay nearly 1.9 million pounds in a civil recovery order in the U.K. and Oxford University Press agreed to pay the World Bank $500,000. “This settlement demonstrates that there are, in appropriate cases, clear and sensible solutions available to those who self report issues of this kind to the authorities,” said David Green, director of the SFO, in a statement. The World Bank also announced it debarred the two units — Oxford University Press East Africa Ltd. and Oxford University Press Tanzania Ltd. — after the parent company acknowledged wrongdoing by those units in Bank-funded projects. The subsidiaries are debarred for three years, and Oxford University Press received a conditional non-debarment, the World Bank said. “This debarment is testimony to the Bank’s continued commitment to protecting the integrity of its projects,” said Leonard McCarthy, head of the World Bank Integrity Vice Presidency, in a statement. Oxford University Press isn’t the first publisher to face the SFO for corruption in Africa. Macmillan Publishers Ltd. agreed in July 2011 to pay a GBP11.2 million fine over illegal payments made by its education division to secure contracts. More coverage of the Oxford settlements is available here and here. Along with the settlements, Oxford University Press announced it was taking disciplinary action against those involved in the misconduct, and it is contributing GBP2 million to non-profit organizations for teacher training and other educational purposes in sub-Saharan Africa.